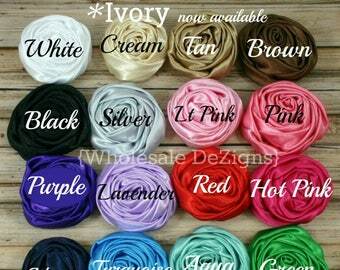 In this listing you will receive 2 ivory silk chiffon rosettes. 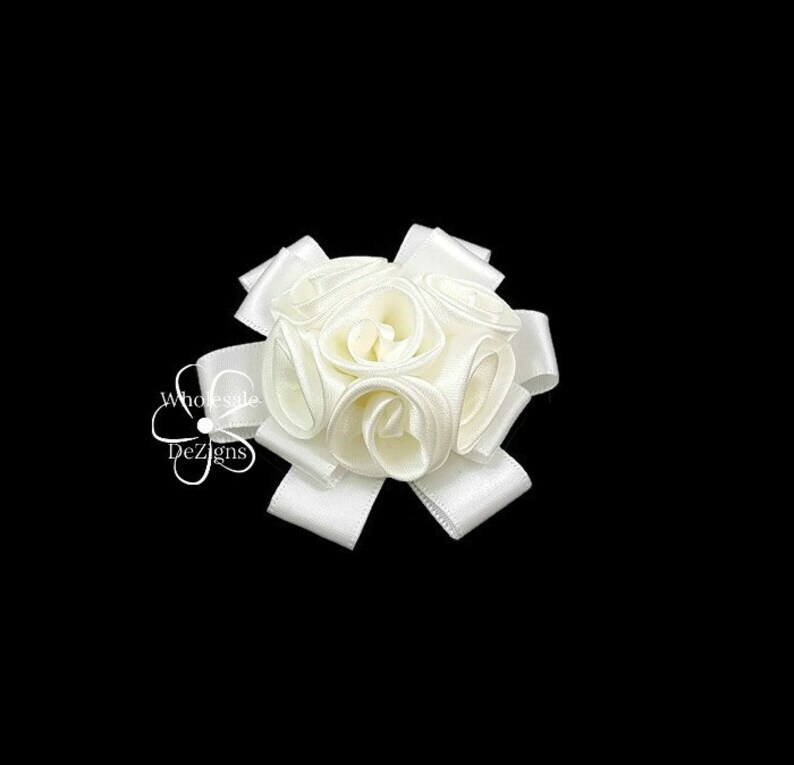 These beautiful soft silky rosettes are made from a chiffon material and hand rolled. They are approximately 3.25". They are flat on the back and have a die cut felt circle attached to the back to give it a finished look. There are no clips attached to the back. 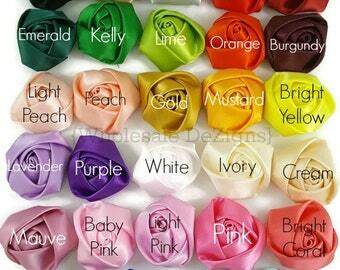 Petite Satin Rolled Rosette Flowers - 1" Mini - Pink, White, Cream, Beige, Watermelon, Black, Ivory, Tan, Blue, Gold, Silver, Peach & More! SALE Tulle Petti Puffs Chiffon Rosette Flowers DIY Headband Hair Clip Pink Lavender Red Blue Ivory Peach & More Black - Buy More Save More!